Take a fast-paced, high-energy museum adventure through New York City's American Museum of Natural History. This maverick tour guides you through the science and history behind the amazing animals, the stories of the adventurers that collected them, and the dirty little secrets that make AMNH like no other museum on earth! This is an unconventional tour of American Museum of Natural History. All participants must be 18 years or older. This is a highly interactive, subversive, fun, non-traditional 2-hour museum tour. 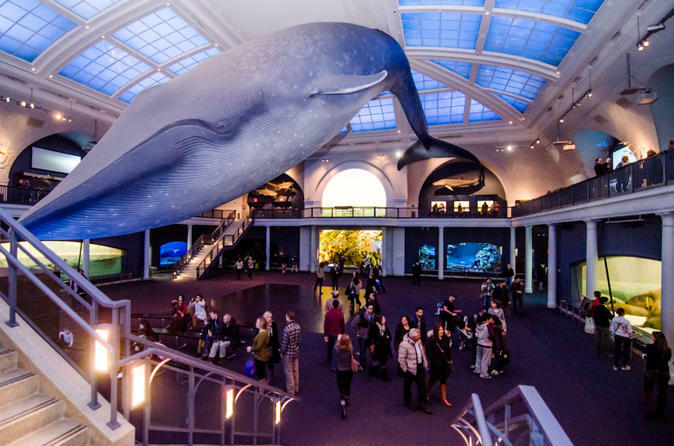 Embark upon a brazen expedition through the halls of New York City's world-famous American Museum of Natural History (AMNH). Join your tour guide as you deftly navigate this massive 1.6 million-square-foot cultural institution. Learn the science and history behind the amazing animals, the stories of the adventurers that collected them, and the secrets that make AMNH like no other museum on earth. IMPORTANT: This tour is not for children - nobody under the age of 18 will be permitted on the tour.